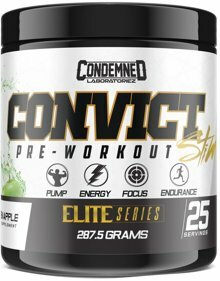 Jul 31, 2017 Condemned Labz CONVICT Stim Pre Workout Rocks 225mg DMHA! Yep, Condemned Labz' Convict Stim is for real! Due to the insane nootropic mix inside, it's even been named one of our best pre workouts for focus! Skin Splitting Pumps! Intense Energy & Focus! Skin Splitting Pumps! Intense Energy & Focus!Skin Splitting Pumps! Intense Energy & Focus! 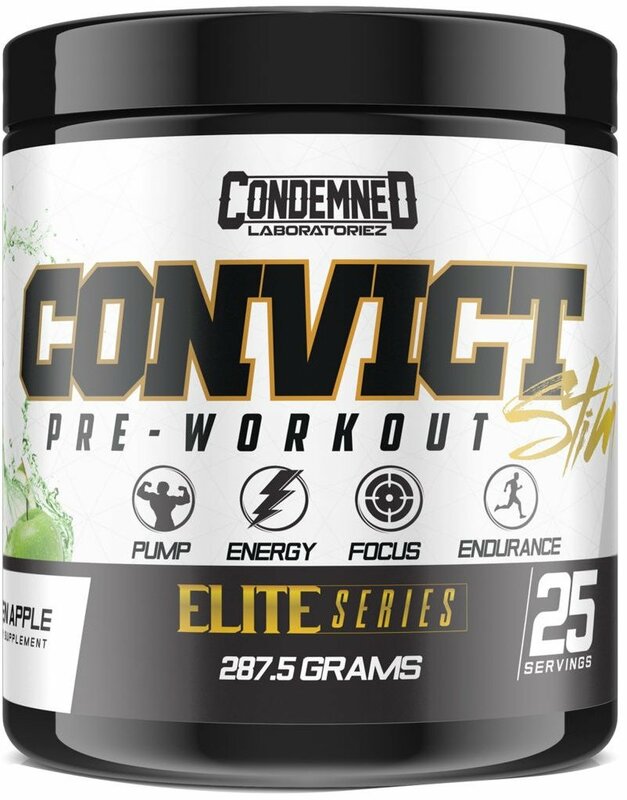 Convict Stim was created for the dedicated individual looking for an accelerated energy boost to hyper-drive them through their workout. Flip the switch and unleash the savage within. With blood engorged, swollen muscles, you're guaranteed extreme vasodilation. As workouts become grueling, self-inflicted tunnel vision activates and achieving gains will be your only focus. For the ultra athlete who needs a pre-workout resurgence, ConvictStim is your solution.